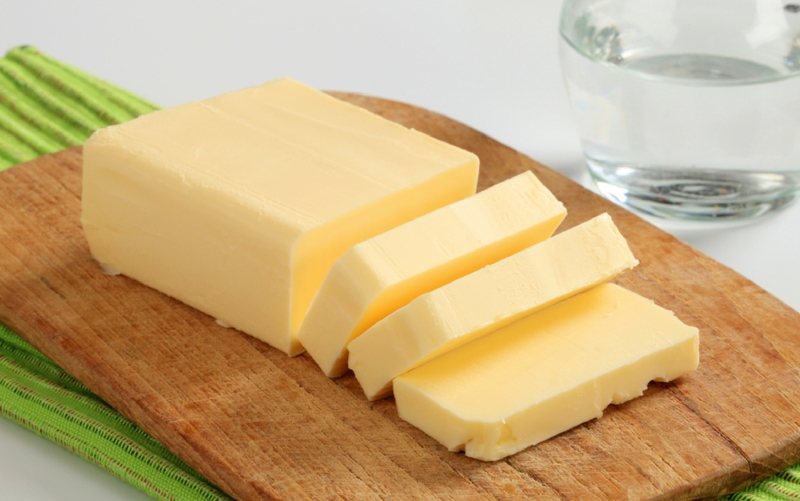 Butter is the fatty portion of milk, separating as a soft whitish or yellowish solid when milk or cream is agitated or churned. Butter generally contains 82% Milk Fat. Butter is produced from Fresh Sweet Cream, Cultured or Soured cream. Sweet cream butter comes in Salted and Unsalted varieties. Salted Butter is butter made with added salt. Salt acts as a preserve and extends the butter’s shelf life. Salt also enhances flavor. Unsalted Butter (often called Sweet Butter) is butter made without salt. Sweet butter shelf life is less and spoils faster than salted butter but it has a fresh flavor that enhances both cooking and baking. Cultured butter is commercially produced by incorporating live bacterial cultures and lactic acid. Anhydrous Milk Fat / Butter Oil is a dairy product which is created by removing the moisture and the nonfat milk solids contained in butter. It is a milk fat-based dairy product in its purest form. Anhydrous Milk Fat, is the milk fat-based dairy product in its purest form. Anhydrous Milk Fat must contain at least 99.8 percent milk fat and be made from fresh cream or butter. No additives (for neutralization of free fatty acids) are permitted. 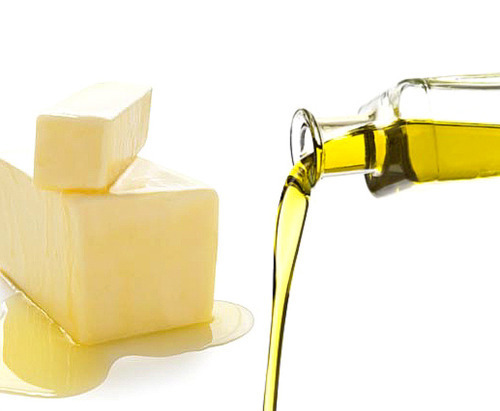 Butter Oil must contain at least 99.3 percent milk fat. It can be made from cream or butter of different ages. For butter oil use of alkali (an additive) to neutralize free fatty acids is permitted. Ghee, is butter when simmered at a low heat for longer duration at which milk solids are separated and removed, and water evaporates leaving a golden-yellow oil. The extensive simmering caramelizes the milk solids in the process, and, even though they are strained out afterwards, they impart a nutty flavor to the remaining oil, the Ghee. Without the milk solids and water, Ghee has a longer shelf life than regular butter. 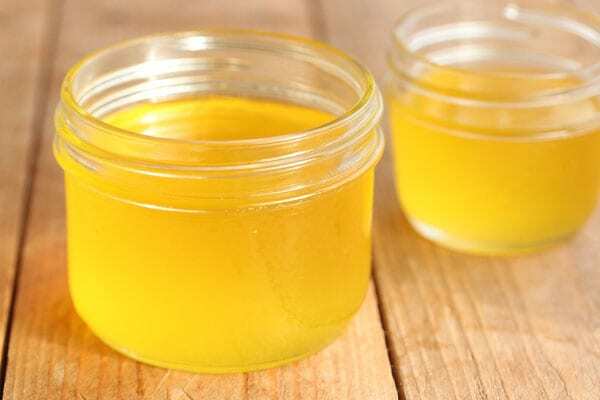 Ghee is a great culinary alternative to butter for those with dairy intolerances, as it is casein and lactose-free, and allows for easier digestion. Ghee can be made from both buffalo and cow milk. But there is quite a difference in texture, colour, and taste, the most obvious being that butter made from buffalo milk is white, while that made from cow's milk is yellow.